It was one of those lazy night dinners. You know where you’ve been gone all day, picked up kids from school and it’s like 104 degrees outside, homework up the ying yang and everything that goes wrong will go wrong. No cooking for me…. So I fed my family a sandwich. At least it was a good looking and yummy tasting sandwich. I’m so behind it’s not even funny. We (the family and I have been so busy these past two weeks with school and aptointments that I want to pull my hair out…. But then that would hurt and make things worse now wouldn’t it? I wasn’t prepared with my posts or anything. It’s crazy! I’m not crying to anyone or want you to feel sorry for me I just needed to get it out. I feel better now that I admit I’m unorganized and unprepared and I’m sticking to it. I know oh too well what you mean about those crazy days. 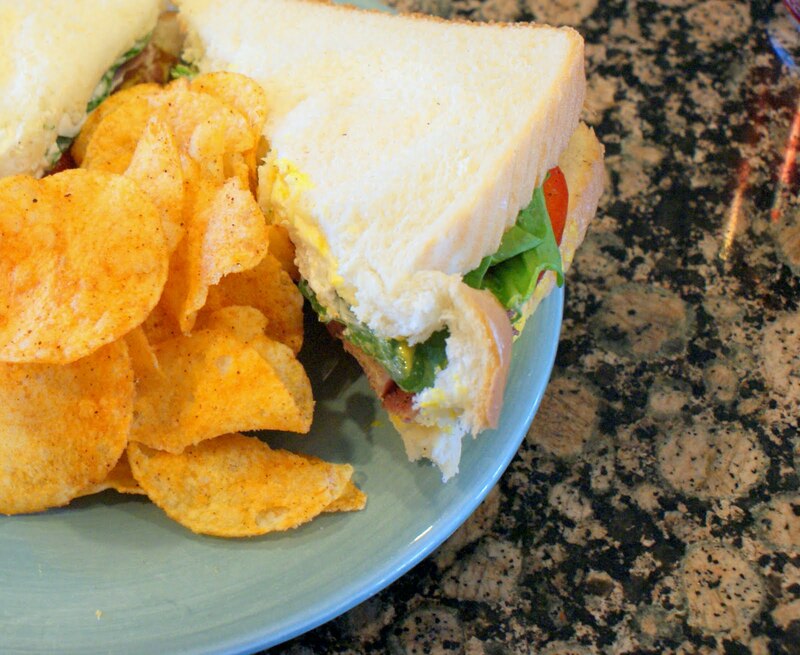 Yummy looking sandwich. 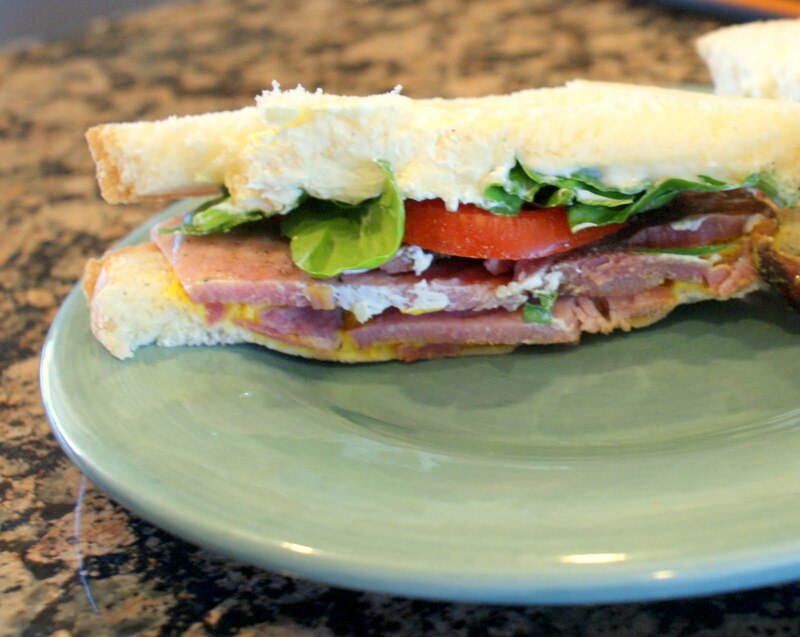 Sometimes sandwiches for dinner are what we all need…and that is no ordinary sandwich. Thanks for linking up!